I always spend at least one morning at La Jolla Cove, up the coast from Mission Bay where the San Diego Birding Festival has its home in late February. The cormorants and pelicans are in breeding plumage, the Harbor Seals are pupping and the Sea Lions are sunning on the rocks. 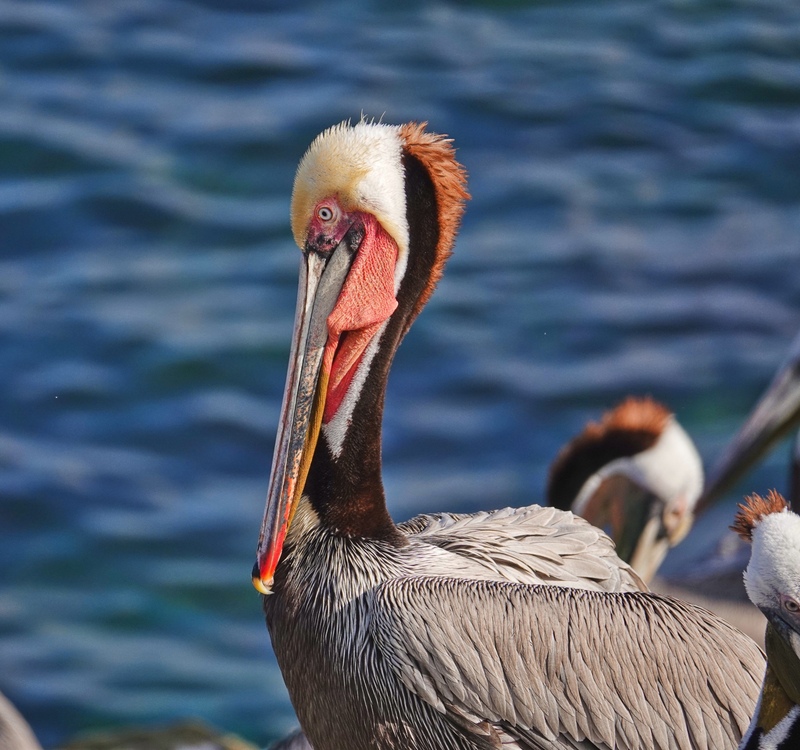 This is the Brown Pelican, of course, in full regalia. Sony RX10iv at 600mm equivalent. Program mode with my birds in flight and action modifications. 1/1000th @ f4 @ ISO 125. Processed in Polarr.